His full name was Steven Paul Jobs . Apples were Steve Jobs favorite food(no surprise). He first discovered computers at the age of 12. Steve Jobs,in his early days, was a phone phreaker. Steve Jobs met Steve Wozniak(former electronics hacker) when Jobs was 16 and Wozniak 21. Steve Jobs was a college drop out.He dropped out after a single semester, but he kept going to class by exploiting a system known as “auditing,” where prospective students can sit in on lectures for free. Steve Jobs worked as a technician for video game company Atari, primarily to be able to afford a spiritual trip to India. Jobs also ate free meals courtesy of the Hare Krishna temple and collected Coke bottles for the deposit to pay for the rest of his material needs. Steve Jobs had four children: one son and three daughters. He was fired from his own company in 1985. Steve Jobs used to pay himself an annual salary of $1. He was 136th richest person in the world. Steve Jobs once dated folk heroine Joan Baez, reportedly because she had once been the lover of Bob Dylan. Steve Jobs had big feet, at size 14. 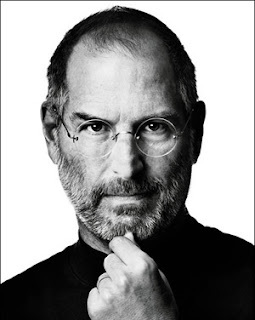 Steve Jobs personally holds Over 300 Patents.